Large capacity hydraulic lift, turf trailer with load capacity. Automatic opening tailgate, jack stands and A-Frame construction, with 4 x 16” width Ultra Trac flotation tyres on independent walking beam axles. Features 65° tipping angle and removable sides. 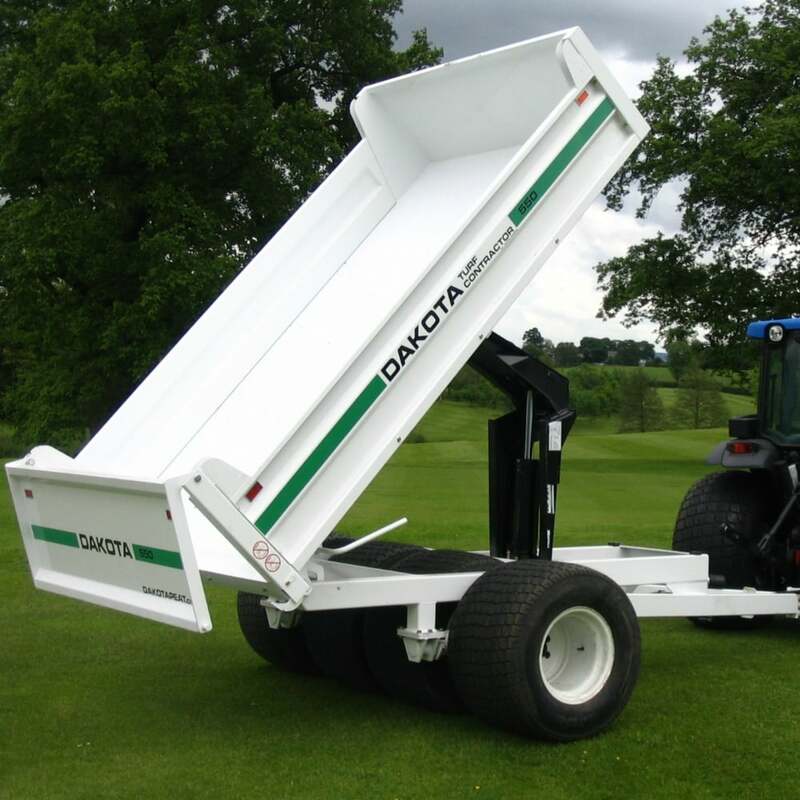 The Dakota Turf Trailer is easy to manoeuvre, with all functions controlled from the tractor seat. © 2019 Cleveland Land Services. All Rights Reserved.